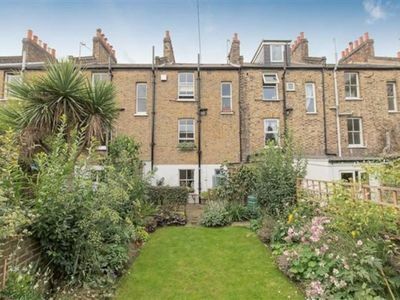 A beautiful, well presented 3BD Victorian house located on a quiet street near to Lewisham High Street. The DLR and national rail lines can take you in Central London in 10 minutes and the station is just a short walk away. This house offers a great amount of space for relaxation and comfort for every kind of stay. It boasts large windows and a modern decor. There are three large bedrooms, all with double beds and plenty of storage. The kitchen is modern and fullyequipped for guests who like to cook during their stay. There is an adjoining, comfortable living area which benefits from a dining table for six people. A nice garden area makes it possible to enjoy the fresh air when the sun comes out.